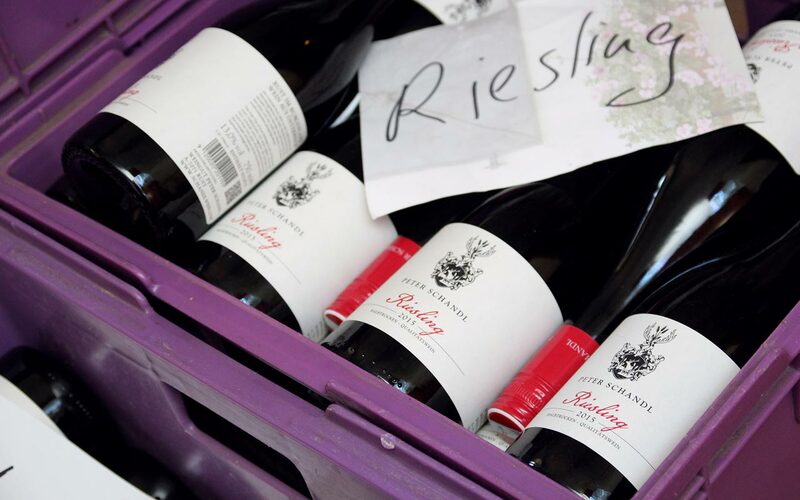 Usually, the Riesling is cultivated in cooler regions in Germany. Cultivating it in Rust is therefore rather unusual. In Rust the temperature is nearly constantly warm during the ripening process of the Riesling. However, the nights are often cloudless and cold, so that there are big differences in temperature between day and night. This is how the Riesling develops its special aroma. In the wine-growing areas around Rust, there are so called “geologic eyes”, where the soil strongly differs from the underground. During the last ice age, the glaciers pushed away the limescale. Now the primary rock appears on the surface. 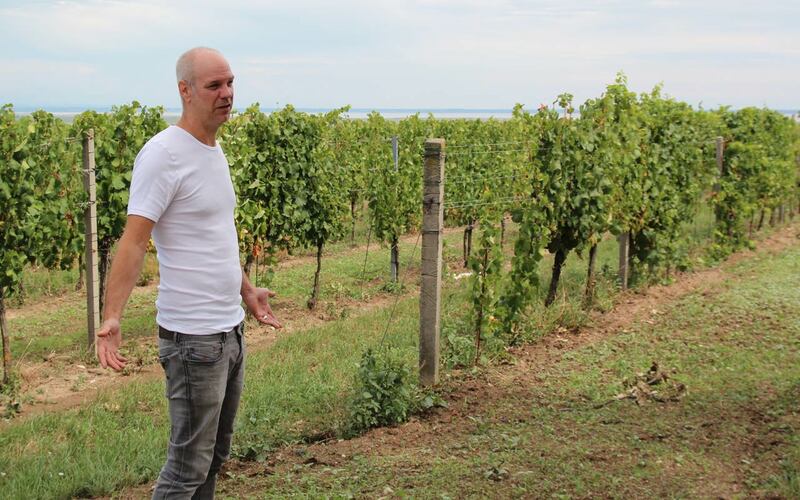 This is the ideal location for growing Riesling. It develops some sort of mineral taste. In the primary rock of the “geologic eyes” a mineral Riesling is developed. The Riesling may be harvested a lot earlier here than in Germany. 110 warm days and mostly cool nights promote its special flavor. The semi-dry Riesling is known for its mineral taste as well as its fruity scent of peach and apple. 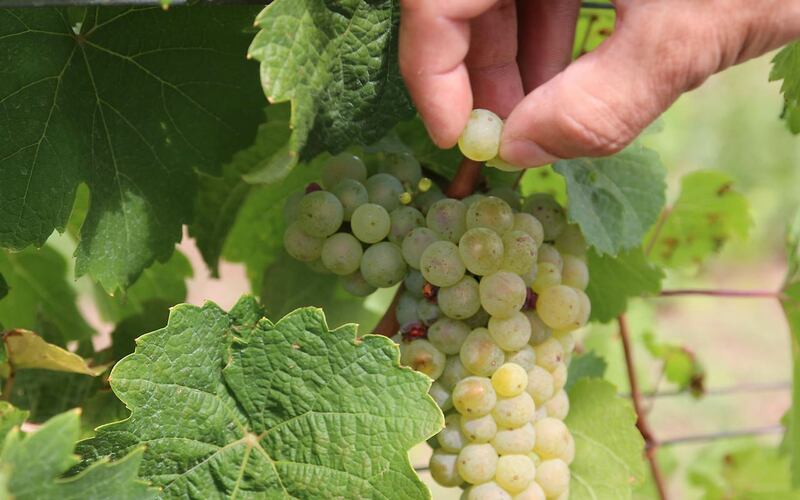 Due to these two factors (temperature and soil) we are able to harvest the late ripening Riesling 2 to 3 weeks earlier than in German growing regions. Usually, the grape is fully ripened 110 days after flowering. In these 110 days the wine picks up everything that is happening around it. We produce a very harmonious and exceptional Riesling with balanced acidity and fully ripe fruit sweetness.